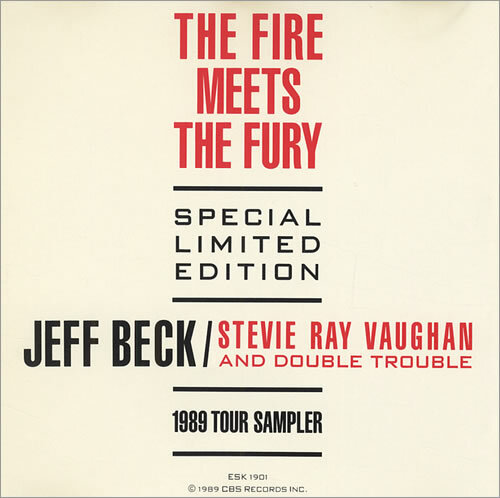 JEFF BECK & STEVIE RAY VAUGHAN The Fire Meets The Fury (Rare 1989 US official Epic special limited edition promotional-only 16-track CD compilation album, issued to promote the tour which featured both these guitar legends. 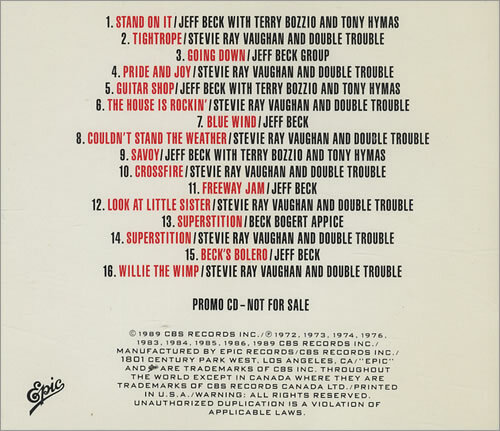 The unique tracklisting features eight tracks from each artist and was never released commercially. The disc has a custom title sleeve & a tracklisting back insert. The title sleeve is showing a little discolouration through age but this copy is otherwise near 'as new' ESK1901).